Bitcoin-backed ETFs remain a hot topic in the cryptosphere, with the SEC recently revealing that it had denied an amassment of ETF proposals for the umpteenth time. Cryptocurrency ETFs have long been held as the future for this nascent industry, with optimists noting that a US-based Bitcoin ETF could propel prices and innovation to newfound heights. But on Wednesday, proponents of a crypto-backed ETF were dealt a crippling blow, as the U.S. Securities and Exchange Commission (SEC) rejected proposals from three individual firms. In all, the SEC denied nine applications from ProShares, Direxion, and GraniteShares via three recently published documents. Surprisingly enough, all the aforementioned disapprovals came a day ahead of the speculated August 23rd deadline for the verdict of the two ProShares ETFs. Proshares And Direxion were looking for listing on NYSE Arca, while GraniteShares was seeking a spot on the CBOE’s extensive roster of publicly-tradable assets. Taking this statement into account, along with the 15 other mentions of “manipulation” in each of the documents, it is clear that SEC commissioners still believe that Bitcoin markets are subject to manipulation. Whether these fears are due to the fears of unregulated, overseas players manipulating BTC spot prices, or the lack of “significant size” markets to back ETF offerings remains to be seen, however. As a result of these verdicts, the crypto market stumbled slightly, with Bitcoin bouncing around the $6,220 to $6,430 range in the hours following the announcement. While this move irked many investors, some industry leaders, personalities and analysts still hold a positive outlook on this industry and market. 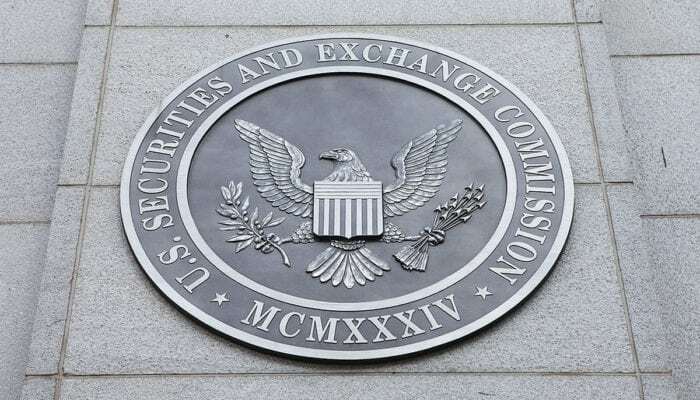 Some noted that the VanEck and SolidX ETF proposal, which verdict was recently delayed by the SEC to late-September, still has a fighting chance of seeing an eventual approval onto U.S.-regulated markets. Others drew attention to the highly-anticipated arrival of the ICE-backed Bakkt platform, which some say will be much more influential than a Bitcoin ETF. Parabolic Trav, a Bitcoin proponent and crypto analyst, reminded his followers that the Bakkt cryptocurrency platform, which has been openly endorsed by Microsoft and Starbucks, will bring to the table what an ETF cannot. Just a friendly reminder a platform like Bakkt makes a Bitcoin specific ETF completely meaningless. Amidst continued bullish sentiment, other crypto commentators took the opportunity to jokingly bash on the cryptosphere’s reaction to the nine verdicts. Monero developer and crypto personality Ricardo Spagni likened the SEC ETF denials to China’s apparent move to block cryptocurrencies again and again, which many saw as the non-sensical propagation of FUD and negative sentiment. “SEC denies Bitcoin ETF” is the “China bans Bitcoin” of 2018. EmptyBeerBottle, a popular crypto influencer, took a light jab at the proposals, alluding to the fact that the nine ETF applications may have had a low chance of succeeding from the get-go. Oh my god the ETF got denied. Who could have ever seen this coming? I'm truly shocked.